North Royalton City Schools made the first home football game on August 24 at North Royalton Serpentini Chevrolet Stadium a little more meaningful by holding a flag dedication before kickoff. The North Royalton Lions Club donated a 10 ft. by 15 ft. flag for the stadium in memory of Bob Serpentini, Sr. who served with the Lions Club for 45 years. He passed away this past June. After the announcer named those involved in the dedication, the American flag was raised as well as the Ohio and U.S. Marine flag. U.S. Marines and Lions Club members took part in the flag raising, and Bob Serpentini, Sr.’s wife, son and daughter were there along with several current Lions Club members. Following the flag raising was the playing of the national anthem by the North Royalton High School Marching Band. Friday, Sept. 21, North Royalton vs. Twinsburg. Friday, Oct. 12, North Royalton vs. Brecksville. The Lions Club International is the largest service organization in the world. They dedicate themselves to the civic, cultural and social welfare of the community around them. 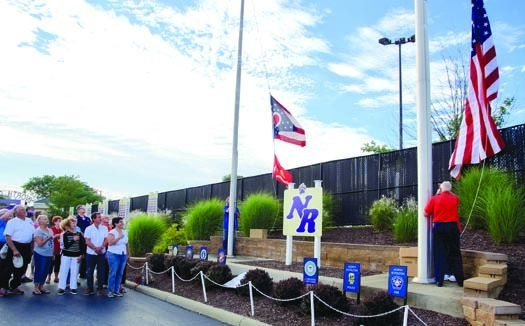 While their most significant service is for those who are visually impaired, the North Royalton chapter has built a pavilion at Memorial Park and a gazebo on the city square. 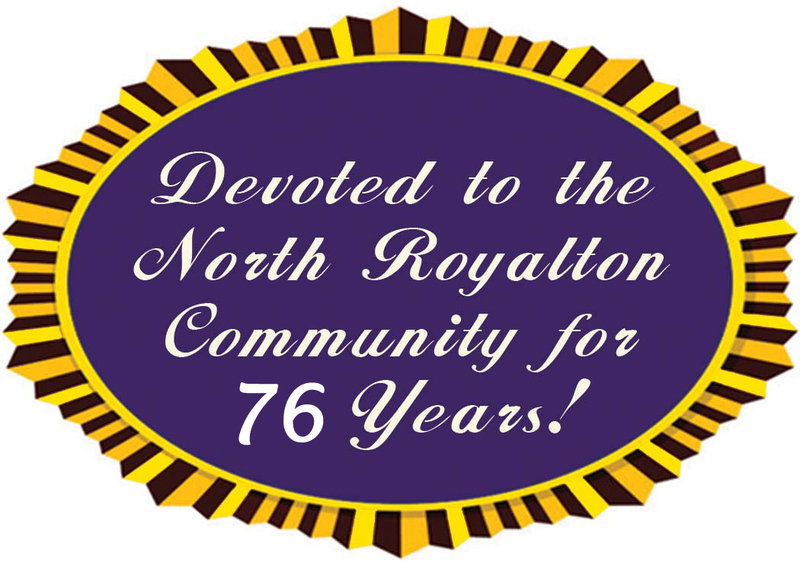 They also support North Royalton High School students by providing numerous scholarships.